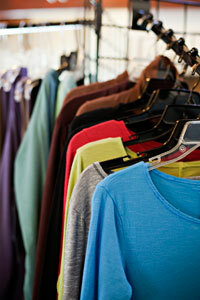 Halcyon Spa takes careful consideration when choosing products to sell in our boutique. 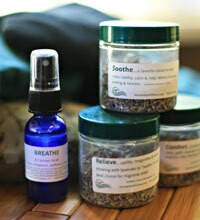 We focus on pain management, organic, local, quality, nutrition, and the arts. Such as Mother Earth Pillows from Arnold, MO, to Blue Canoe Organic Clothing made in America from California. 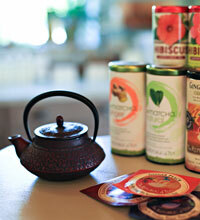 We offer the best quality with our Eminence Organic Skin Care, Glo Skin Beauty and Republic of Tea to name a few. We have a number of skin care products with mindfulness of paraben free, no artificial colors or fragrances, and made from the finest ingredients from nature. You will find unique items from jewelry to health food products, and aromatherapy to yoga products. The boutique provides products for those living consciously; those who make consumer choices based on health, the environment, the arts, locally produced, and quality. Stop in to browse the boutique 7 days a week, or click below on the Gaiam link for even more mindful products. 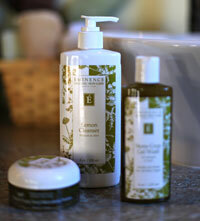 Eminence Organic Skin care is results focused for a variety of skin types. Eminence is a leader in skin care, using the healthiest ingredients without harmful chemicals or additives. Renee Peltier, esthetician offers a personal experience with customized facials and peels targeting the clients areas of concern, along with choosing products best suited for each clients skin. 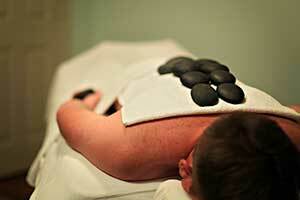 In addition, all massage therapists are educated and trained to offer Eminence Organic Facial Massages. This results focused organic skin care line has products for every skin care goal. Stop by the spa and let us help you find the best products for you. De-stress with a Massage today!